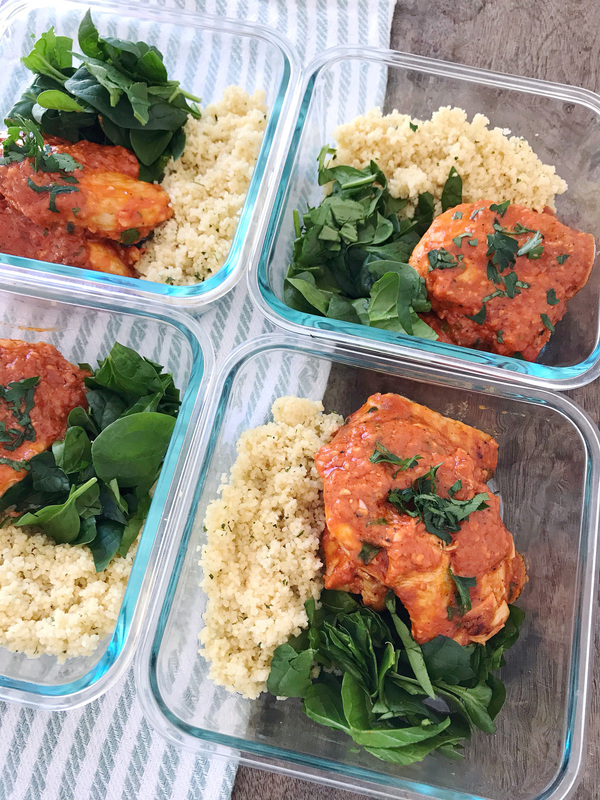 Roasted Red Pepper Chicken and Meal-Prepping. At the very end of the year, I took an informal survey on my Instagram page. 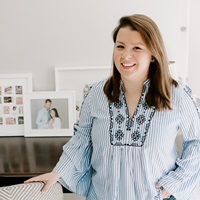 I asked what exactly my followers wanted to see more of on the blog, and there was an overwhelmingly large response for easy weeknight dinners and meal prepping ideas. I previously wrote a big post about how we plan our meals out for the week to help us stay on budget, reduce food waste, and most of all, hopefully eat a little healthier. If food is pre-made in the fridge for lunches, or if I have a clear plan of what is on the menu for dinner each night, we make much better food choices and cut down on my frenzied panics about what we’re going to eat. 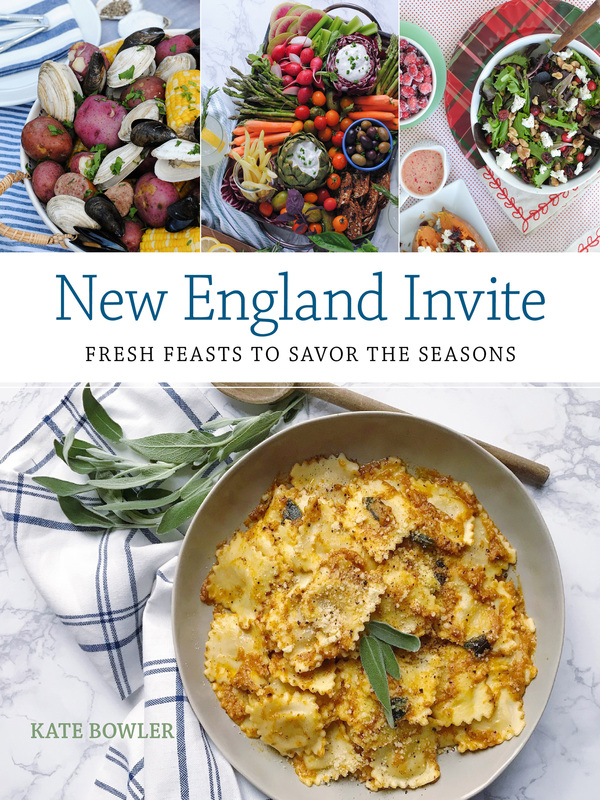 While we have a great rhythm down for our family meal planning, I realized I haven’t shared many of those ideas here. I’m changing that today, and hoping to do a better job of photographing and sharing some of the easy meal-prep recipes we make at the beginning of the week to pack up as lunches. 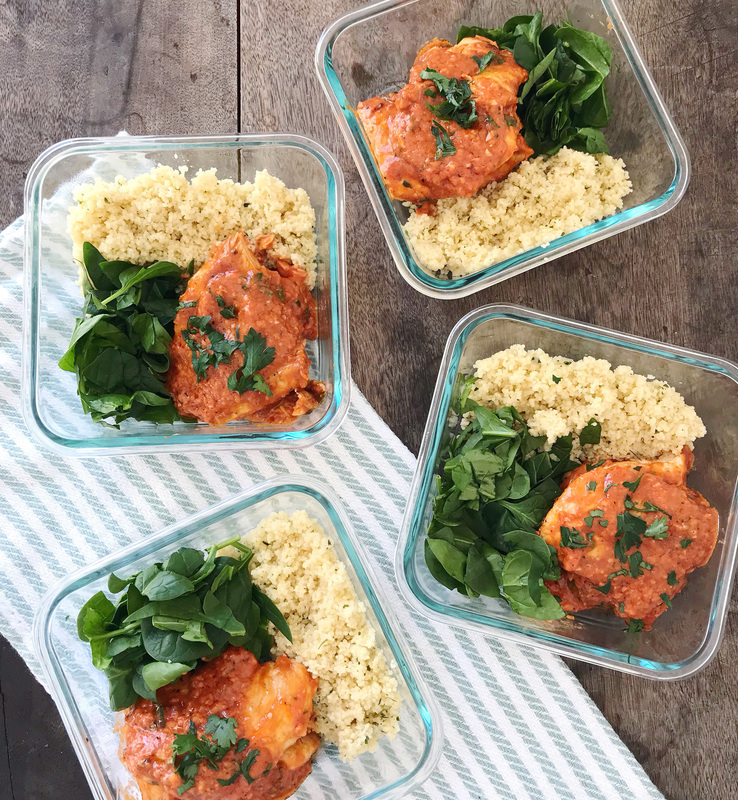 Today’s recipe is for a simple roasted red pepper sauce to cook chicken in, and serve with couscous and spinach. The sauce is only five ingredients, and comes together in the food processor in minutes. You pour it over the chicken as it cooks, and then divide it into portioned containers with the accompanying sides. Get the full recipe below, and let me know if the comments what other types of other recipes you want to see on the blog this year! Drain any liquid that remains from the jar of roasted red peppers. Combine roasted red peppers, garlic, shallot, tomato paste, and light cream in a blender or food processor and combine until smooth. In a large pan or skillet, heat 2-3 Tbsp. of Olive Oil. Season chicken with salt and pepper and add to the pan. Sear chicken on both sides, and then add the roasted red pepper sauce to the pan. Cook until the chicken is fully cooked through, and the sauce has reduced by about ⅓. Serve over couscous and fresh torn spinach, spoon extra sauce on top of the dish.